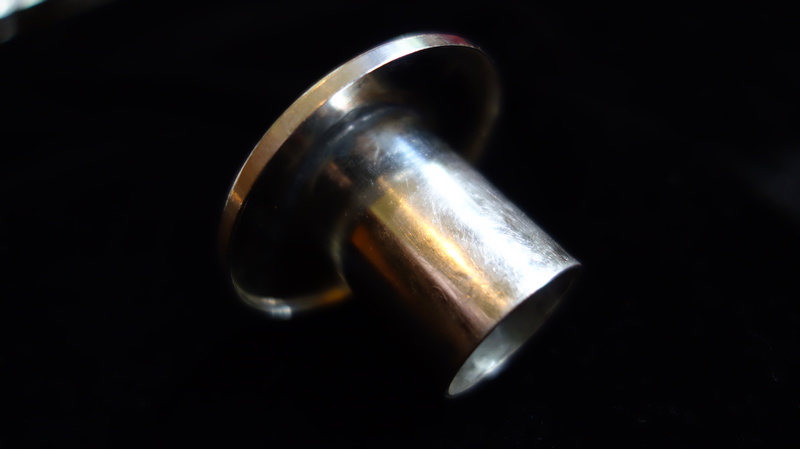 This is the original neck plug for the New York style necks. 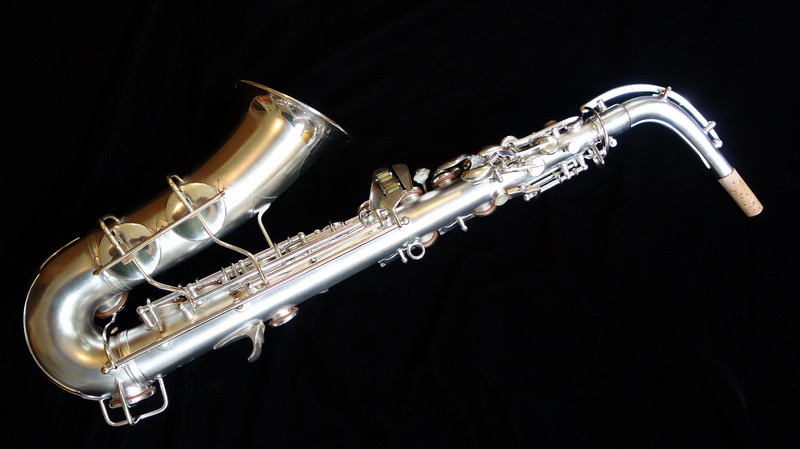 This is a freshly overhauled Conn 6M transitional alto saxophone from 1934 with the “New York” neck. 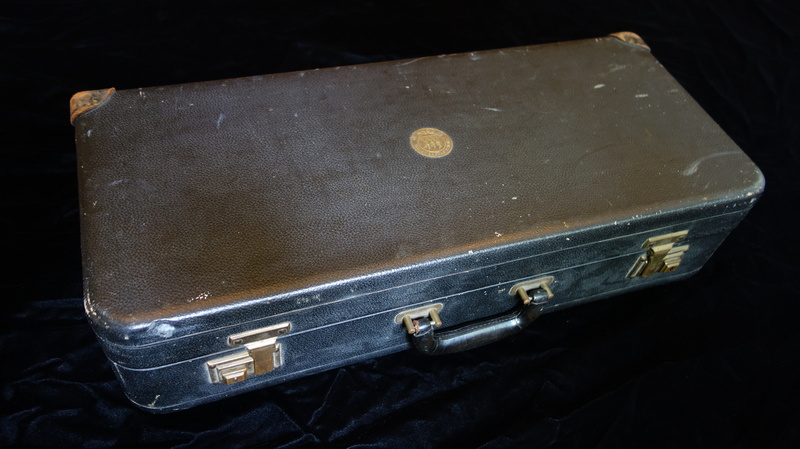 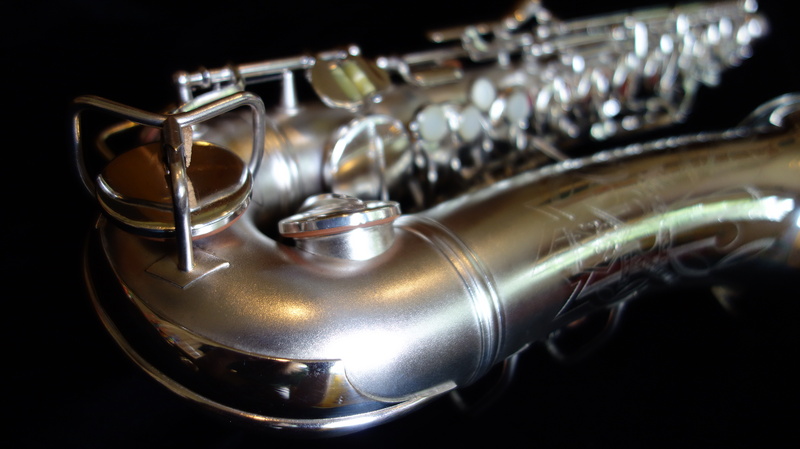 This saxophone is in nearly flawless condition and comes with its original case, mouthpiece, ligature, mouthpiece cap, and Conn pad measuring tool. 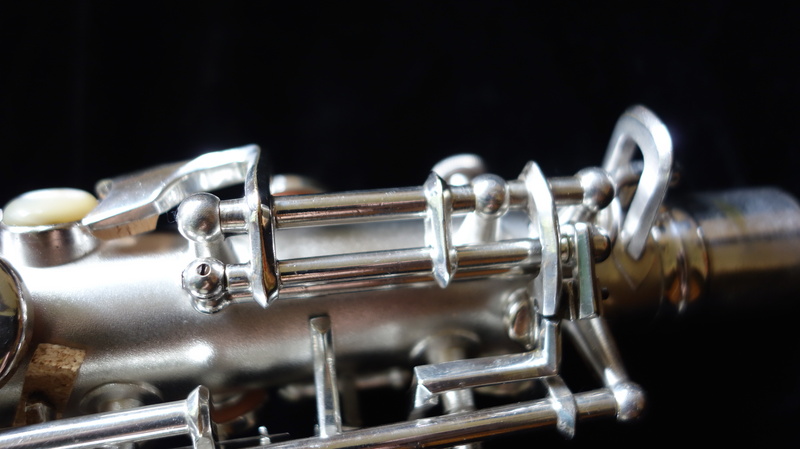 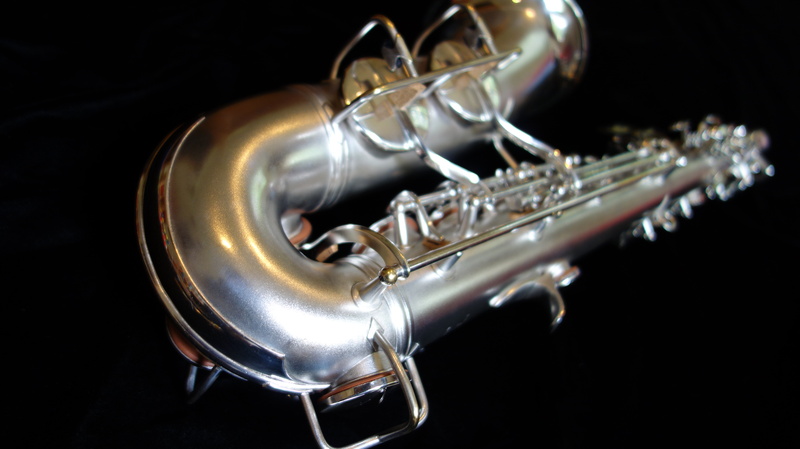 As a result of the excellent work on the part of the Conn designers and a fresh full mechanical rebuild, the action is quick, quiet, and tight and the horn is extremely responsive and easy to play. 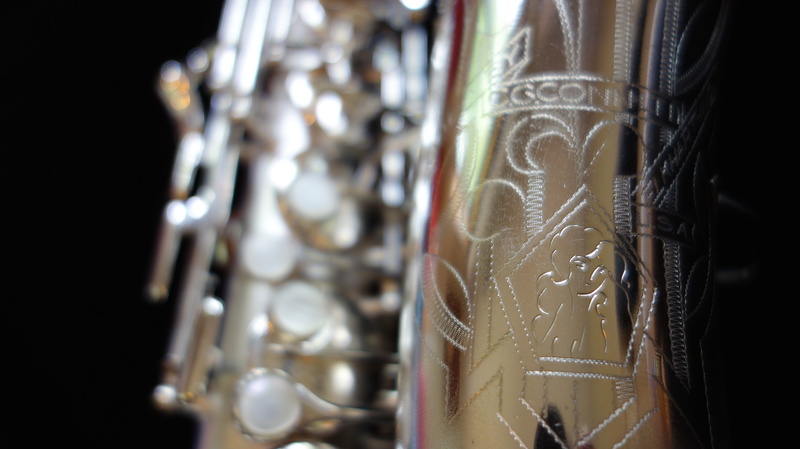 The tone is warm and slightly focused (though not as focused as the later 6Ms), and it plays very well in-tune while retaining much of the power of the previous Conn model, the New Wonder Series II (aka “Chu Berry”) while being a massive improvement in build quality, ergonomics, and intonation. 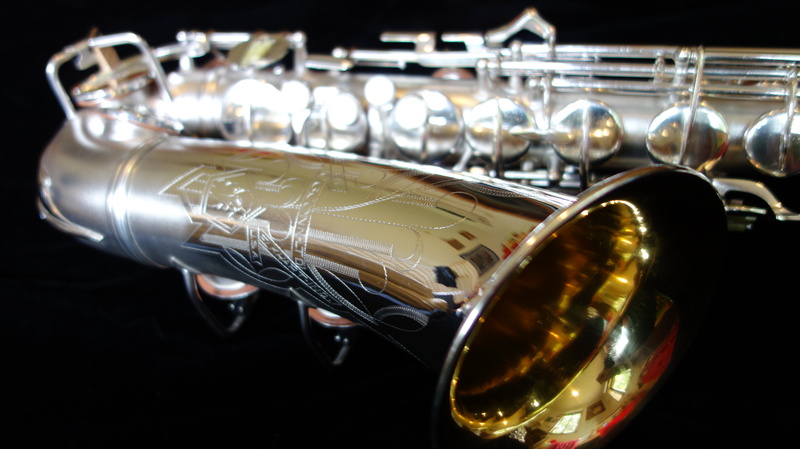 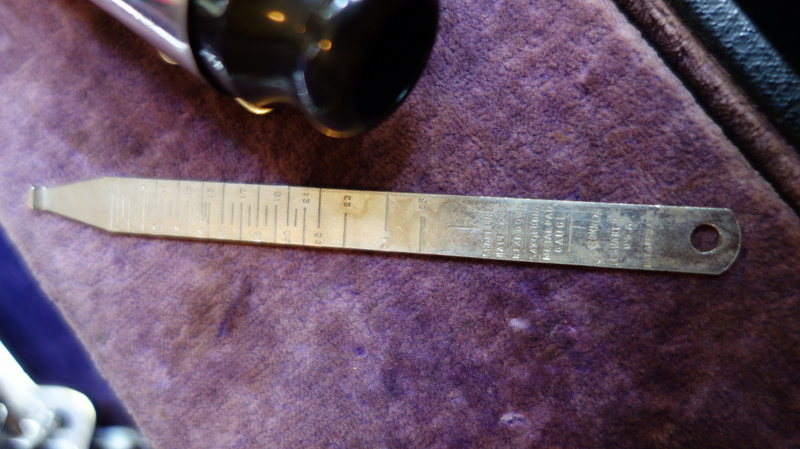 The “New York” neck was a special order neck without the microtuner and a different octave mechanism. 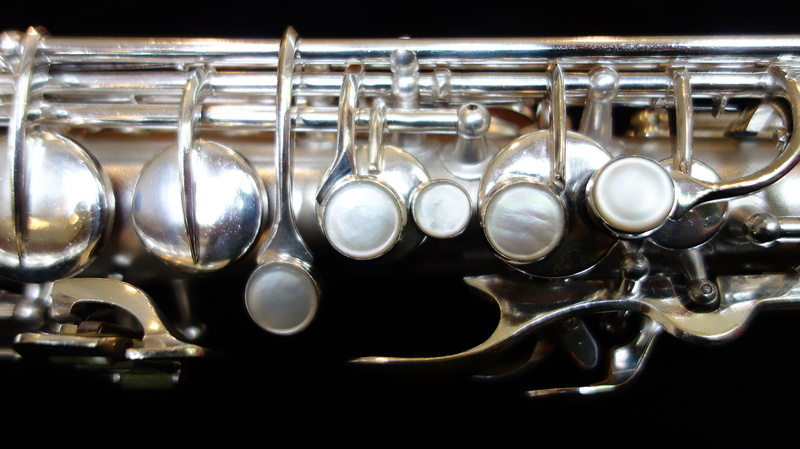 This neck is NOT interchangeable with a regular 6M neck- though the taper is the same, the octave key moves in the opposite (normal) direction, so the octave mechanism itself is different and will not work with a regular underslung 6M neck. 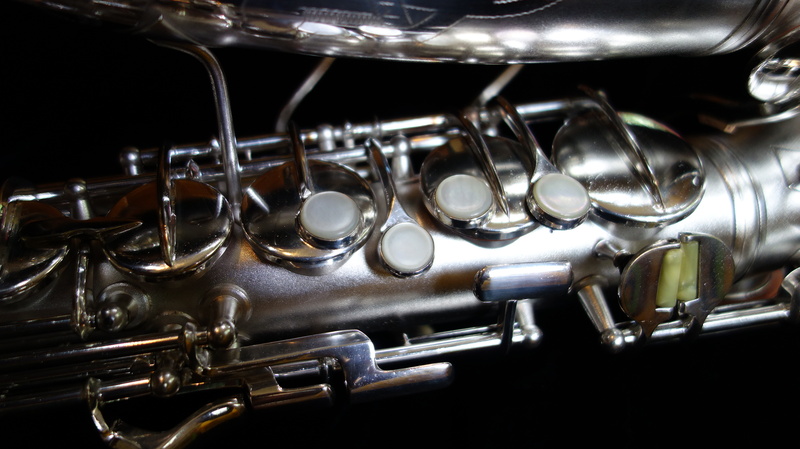 The New York neck came with a special neck plug to guard the neck octave key from damage, and this rare original accessory is included. 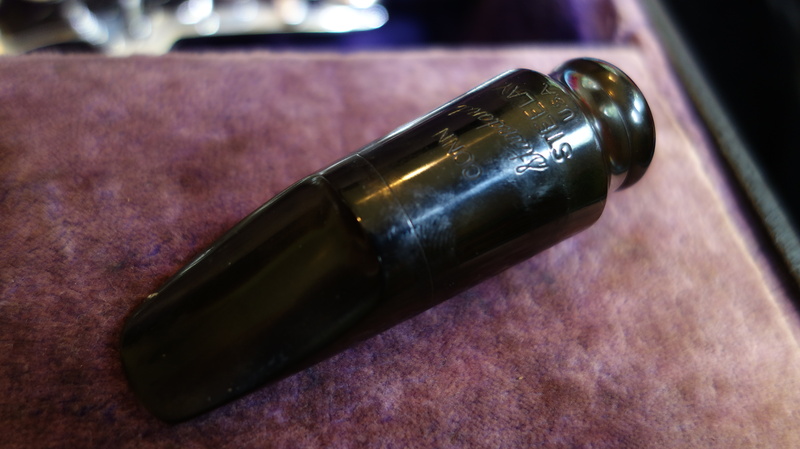 The original case is also in excellent condition, as is the original Conn Steelay mouthpiece with a nearly flawless facing. 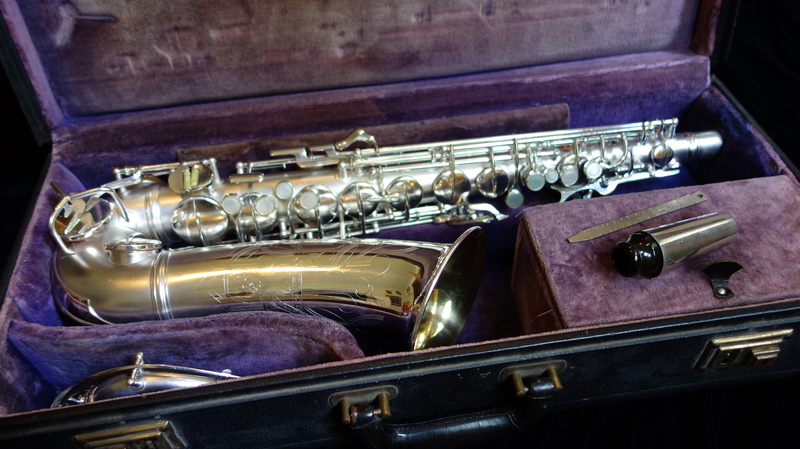 This saxophone came to me in very good physical condition, appearing to have been played a few years when it was new and then put away. 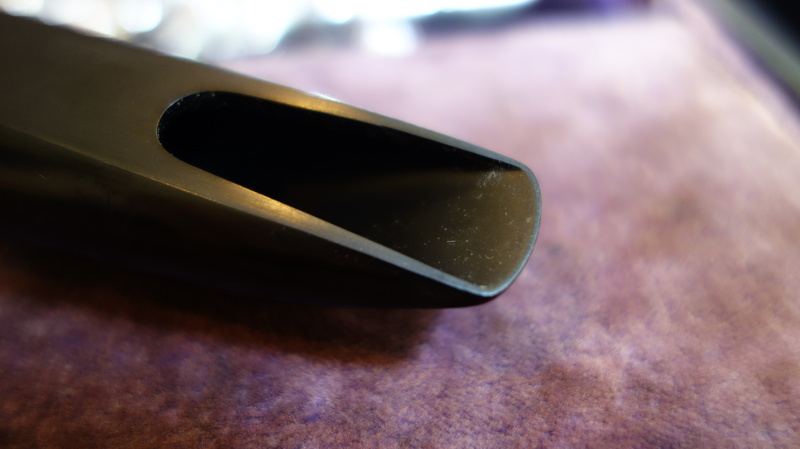 Indeed most of the original pads were still in the horn, and I was the first person to fully disassemble it since the factory! 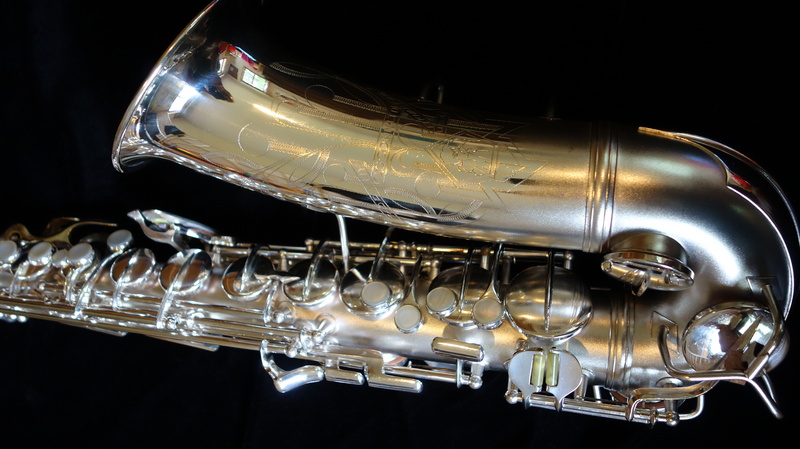 I spent over 40 hours restoring this saxophone to its original condition (or hopefully better, as that is my goal) and it is an excellent alto that will stand tall against any alto ever made. 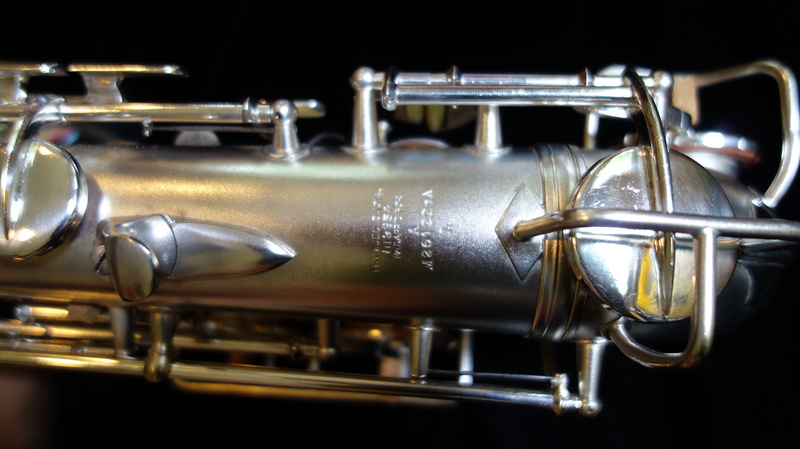 I am a big fan of the 1930s Conn altos, and if you play this horn you will see why. 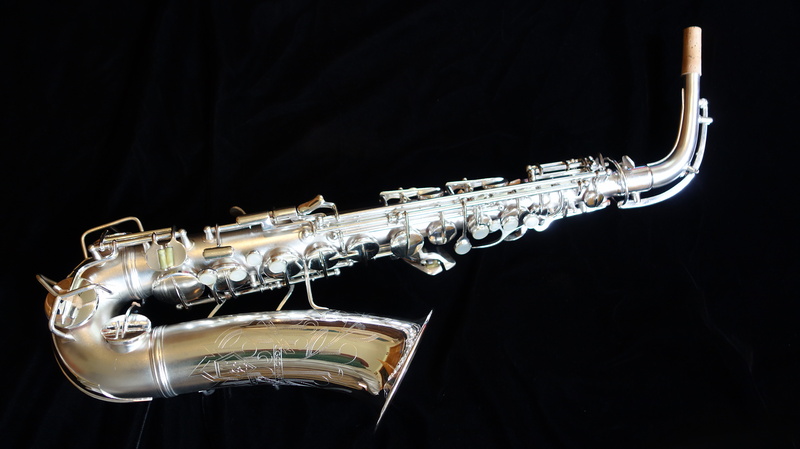 I have wrapped this saxophone in tarnish preventative cloth, and it will arrive to you packed with care, looking every bit as good as it does in the photos above, and you can take it gigging the night it arrives.